Bruce is out on the water as I am sitting in the library in N.E. Harbor, waiting for an appointment. 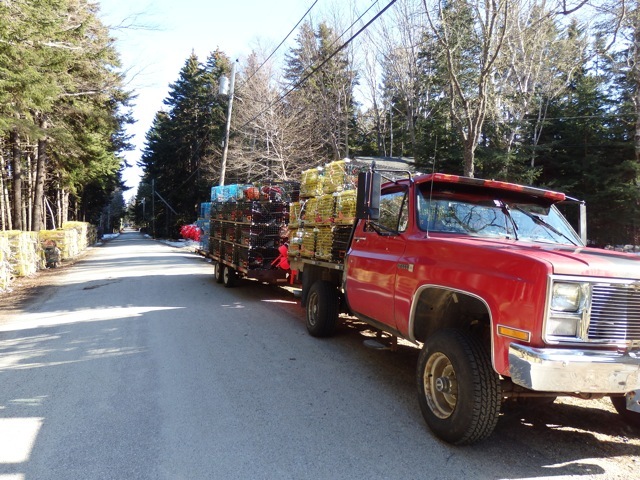 Yesterday he asked if I’d take a photo of his lobster traps, ready to hit the water, to send to a fellow fisherman in Nova Scotia. Why not add them here as well, I thought. 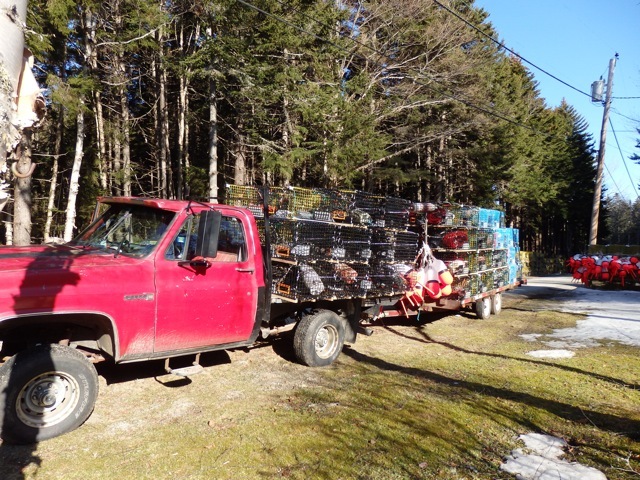 This is the first batch of what will eventually be 800 traps in the water. C’mon you hungry lobsters, start crawling! What a relief to have a sunny warm (40’s) day with no wind. Finally feels like spring. I came to see your bead soup pieces (which are stunning) and this post caught my attention. I grew up in Newfoundland and my father is a fisherman (including lobsters). Anything related automatically draws my interest. Cool! I love living in a fishing community. Here it’s all lobsters. I think we’re lucky having this culture as part of our lives.